Using the Tolerance Analysis option of the Multiple Run Wizard, you can analyze the effects of variation of parameters / initial values on the performance of your model. 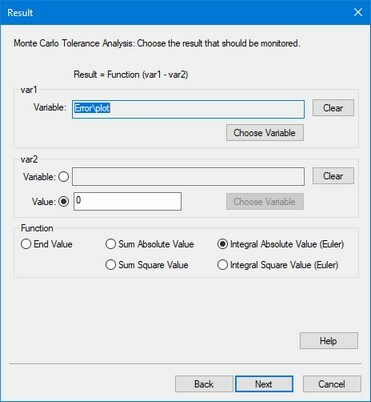 Three methods of Tolerance analysis are supported in the Multiple Run Wizard. One of these methods is Monte Carlo Analysis. 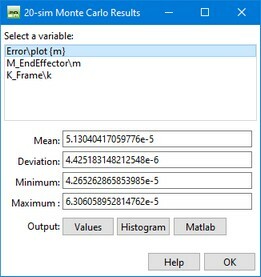 Using Monte Carlo analysis, you can perform a predefined number of simulation runs with variation of parameter values according to a predefined distribution function. 1. From the Tools menu select the Time Domain Toolbox and then Monte Carlo Analysis. 8. 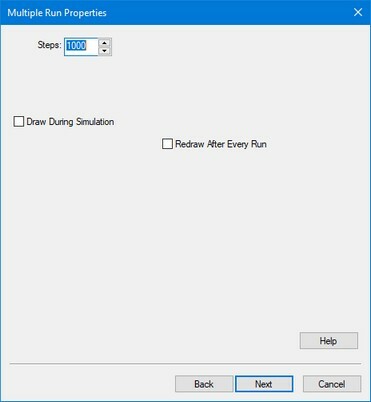 From the Simulation menu click the Multiple Run command to perform the Monte Carlo Analysis. 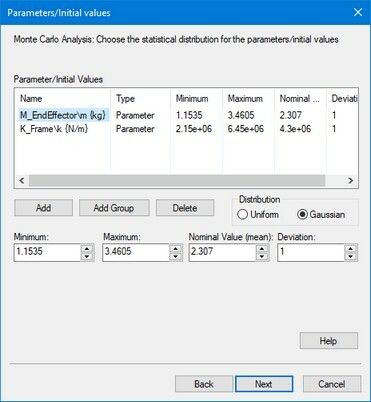 • Values: Choose this button to open the list that shows the output of the various runs performed during the Monte Carlo analysis. 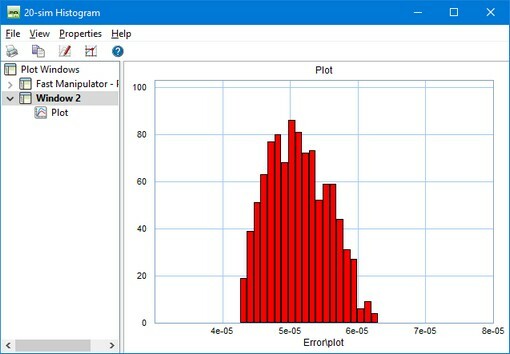 • Histogram: Choose this button to open a histogram of the selected item. 9. 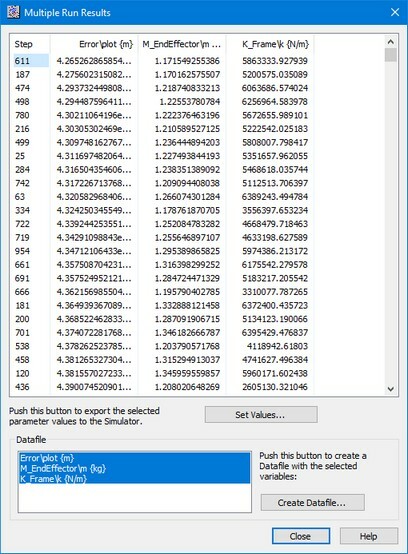 By choosing the Multiple Run Values button, a new window is opened, showing output of the various runs performed during the Monte Carlo analysis.